The VOX Showroom - The Vox AC30HW60 Limited Edition Amplifier - A Look "Under the Hood"
did not include bass or treble controls. In response to requests from the popular UK band "The Shadows, Vox developed the AC-30 Brilliance Unit or "Top Boost" kit in 1961. Initially offered as a dealer installed accessory, the Top Boost kit added bass and treble controls to the Brilliant channel of the AC-30/6. These controls were inconveniently located on the upper rear panel. Demand soon grew for a factory installed Top Boost circuit. Vox introduced a redesigned AC-30/6 in 1963 that relocated the Top Boost controls to the main control panel. The AC-30/6 with Top Boost "in panel" is considered by many to be the most desirable AC-30 amp. While many amplifiers include tremolo, the original JMI Vox AC-30/6 also included Vib/Trem (Vibravox), a circuit that included both tremolo and vibrato. While tremolo rhythmically pulses the volume of the signal, vibrato varies the pitch. The Vib/Trem circuit accounted for more than one third of the electronic components in the AC-30/6. 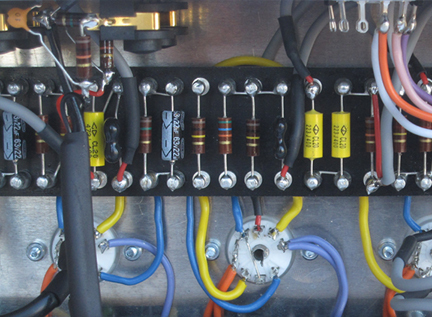 The complexity of the Vibravox circuit is the reason why it was excluded from all AC-30 amps produced since 2003. The JMI Vox AC-30/6 "Contempo" chassis design combined a pressed steel horizontal base with a "L" shaped vertical assembly made of aluminum. The steel base of the chassis supported the power supply and output amp sections of the AC-30/6. The power transformer and output transformers were located at opposite ends of the chassis base to provide proper balance. 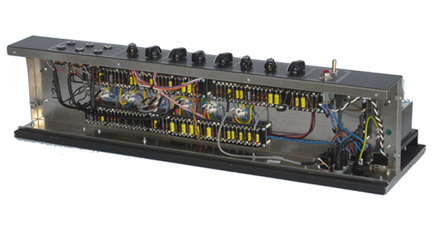 The vertical aluminum section of the chassis enclosed the preamp circuitry, shielding it from electronic interference from the transformers and power supply. The JMI Vox AC-30/6 featured old school "point-to-point" (PTP) hand-wired circuitry. This style of construction predates the use of printed circuit boards. By definition, amps built with PTP construction cannot utilize printed circuit boards. PTP amps are hand assembled on terminal or "tag" strips. Each electronic component is connected directly to the next using their own leads. Interconnecting wires are kept to a minimum. As one might expect, hand crafting an electronic circuit in this fashion is labor intensive and in turn, expensive to produce. The AC30HW60 Sixtieth Anniversary amplifier literally turns back the clock to 1964. At no time since the JMI era has Vox so closely reproduced the original AC-30/6. Like the JMI Vox AC-30/6, the UK made AC30HW60 features hand-wired, point-to-point circuitry constructed on terminal strips. It also retains the original three channel (Normal, Brilliant and Vib/Trem) design. As in 1964, the "Top Boost" controls are located on the main control panel. The control panel is finished in "period correct" gray. The chassis includes a steel base and an vertical aluminum assembly, patterned after the AC30/6 "Contempo" chassis. The chassis mounts to a traditional wooden slider board for easy removal. The power transformer, output transformer and the choke were made in the UK by Demeter Windings. The AC30HW60 included two UK made 8 ohm 12" Celestion G12 Alnico speakers finished in "period correct" silver paint. It included the original style Műller H1777 cone and a gold Vox sticker on the rear cover. A single button "egg" cast aluminum foot switch remotely enabled the Vibravox effect. 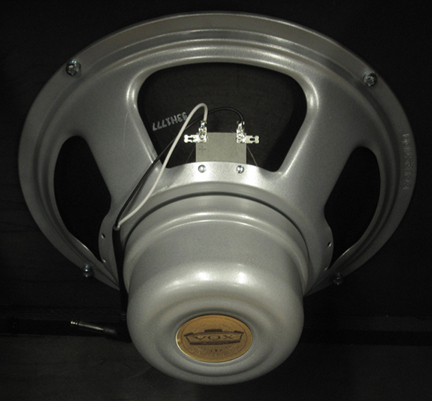 Vox turned to North Coast Music to produce the "egg" foot switch cases from the original UK sand cast mold.